Let me support your wedding or special event from start to finish. 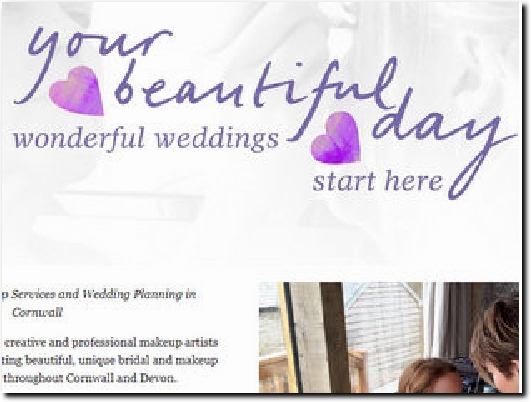 Professional make-up artists and wedding planners serving Cornwall, Devon and across the UK if required. 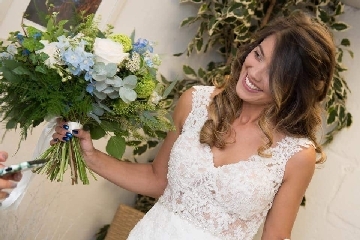 Services outlines the services on offer while Prices & Packages gives further details and the costs of the make-up and wedding planning options available. Portfolio shows examples of their make-up while Reviews has positive comments from happy clients. FAQs covers both sides of the business while Contact has an enquiry form to be completed. Phone and e-mail details can be found at the top of each page.